Living in this special climate is a wish come true, you know. After growing up in cold Vienna I deeply wished to live somewhere where it was always warm and where no poisonous animals lived. And here I am! My four children born between 1991 and 2006 are my biggest inspirations and my most important teachers in patience, opening up to love and learning forgiveness. My working life began at age 16. First part-time while still a student and later full time. I have done everything from waitress, parking guard, promoting, cold canvass sales, office work and God knows what more. I always wished I could work in a job which I enjoyed doing. Well, I took me quite a long time to realize that I live and work in the most ideal situation for my personal development and always have done. For the last 10 years I worked full time in a 5 star hotel as an advisor for the sales and marketing division. But then life took a new turn. Since May 2012 I am in the lucky situation to work from home! Numbers and stats come easy to me - so now I work as an accountant for a small company. Once I have delivered their required calculations each week, I dedicate my time to building this website. But it takes time to build it and write all the content. I now have finally over 100 pages. About 250 people per day visit the site. And at the beginning of 2013 I incorporated Ad-sense and some affiliate marketing. To begin with, I just needed a website for my hobby and passion - the exploration of the human mind and consciousness. I organize and hold workshops and courses usually twice a year, teaching people how to meditate, de-stress and undo their fears. 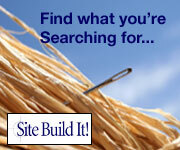 After a long search, I came across this amazing Web building platform called Site Build It!. It taught me step by step how to build this Web Site. I had no idea about websites, how search engines worked, and why certain sites ranked better than others. I never thought that I could learn to write interesting enough text that could compete with other websites out there. And that in English, which is my third language! Fact is, to write about stuff one loves is easy. SBI's Action Guide showed me how to find the right keywords and use them in my text, so people like you who are interested in my theme would actually find my website before they would find others. Since I was a little girl I somehow knew about the power of wishing and played around a lot until I figured out how and which of my wishes came true. Eventually I also learned to accept that some of them can never come true. At age 14, I discovered Near Death Experiences from reading the book Life after Life by Raymond Moody. In 2012, I had the pleasure to meet Dr. Raymond Moody at a conference in Gran Canaria. I was always a great fan of his. But since I have met him in person, I respect him even more. At the conference people were bombarding him with questions. But Dr. Moody thoughtfully and patiently took his time to answer each one of the queries - even in the breaks. Impressive, wise and generous personality! This deep interest of mine brought me eventually to explore the mind and where and what the power of the mind is. The mysterious and unexplainable side, such as out of body experiences, meditation, telepathy, remote viewing, lucid dreaming, extra-sensory perceptions and mind training amongst many others. All of it caught my attention. I was searching and still am for a connection between the explainable and the unexplainable phenomena in our scientific society.